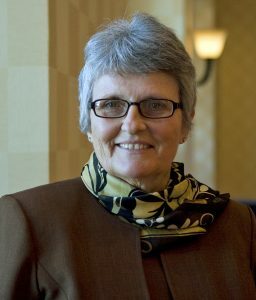 The AAFS Digital & Multimedia Sciences Section has lost one of its most influential members — Retired Fellow Carrie Whitcomb — who passed away December 30, 2017. While there were many pioneers in digital forensics, Carrie was one person who played a pivotal role. Although she was no technical wizard, she was a forensic chemist who went on to become the Director of the U.S. Postal Inspection Service Laboratory, then the Director of the National Center for Forensic Science at the University of Central Florida. She was one of the few people who, in the late 1980s, recognized that computers were going to provide important evidence. She was a consensus builder, as was demonstrated by her leadership roles in the American Society of Crime Laboratory Directors (ASCLD), the Scientific Working Group on Digital Evidence (SWGDE), the Digital Forensics Certification Board (DFCB), and the AAFS. Carrie served on the AAFS Executive Committee from 2008-2010 and as Vice President for the 2010-2011 term. With her ability to find, mentor, and nurture others in this growing field, she was the one who, year after year, brought ever-increasing AAFS members together, which ultimately resulted in the creation of the Digital & Multimedia Sciences Section of the AAFS. Her focus on digital evidence as a forensic science has led the community to where it is today. She will be missed. ← Academy Cup — Submit Your Questions Now!